New Years Eve, folks, and an end to 2017. I’ve been recalibrating here at the end of the year, as I’ve explained in some recent entries. I’ve been revisiting old works and writings, trying to blow off the shell of complacency and rediscover that urgent need that drove my earliest creativity. This also has me re-examining early influences in all things– art, movies, literature and music. To that end, I found myself watching a couple of hours of old performances early this morning from Bruce Springsteen, mostly grainy black and white films from the 70’s. It may sound odd but Springsteen’s work, his performances and his rapport with his audience throughout his career have informed much of what I have tried to create in my own career. From the first time I saw him perform over 40 years back, I was enthralled by his commitment to growing his work, his complete effort in every performance and his desire to reach out to every member of his audience. The consistency of his work and his desire to seemingly give more than his audience expects every time speak volumes to me. 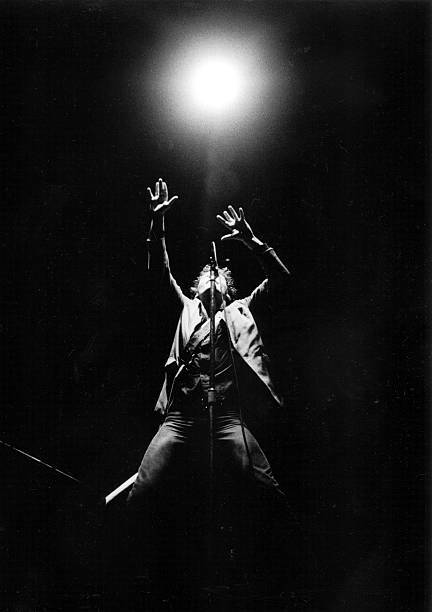 So, to end this year I thought I’d go back to a performance at the Capital Theatre in Passaic, NJ in 1978 and one of my favorite Bruce songs, Spirit in the Night, from his first album. It’s great to watch Bruce interact with the audience here. Have a good New Year’s Eve and let’s hope for better things in 2018. Here’s my Springsteen story. It’s 1990, and I’m on a highway south of Houston, heading down to a congregation outside Victoria to preach my last sermon. In two days, I’ll fly to LA, then Honolulu, board a boat, and sail to Alaska. I have no idea what I’ll do when I get back. Exactly. Here’s to some flame-stoking in 2018!